THE REALITY of what Brexit could mean for the ability of places like Shetland to attract workers to key sectors including health, social care, seafood and hospitality is beginning to dawn on such communities, according to SNP Highlands and Islands list MSP Maree Todd. Speaking on a three-day visit to the islands, Todd told Shetland News that the UK’s impending exit from the EU was “the topic on everyone’s lips”, and she fears it could exacerbate the recruitment difficulties faced by the NHS, local government, hotels, restaurants and fish processors in remote areas. 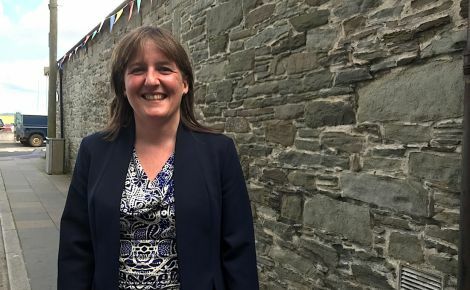 NHS Shetland management have regularly spoken of the difficulties inherent in attracting people to key healthcare posts, and she said Brexit was “only going to make it tougher”. Todd pointed out that there has been a 96 per cent drop in applications from nurses elsewhere in the EU wanting to come to the UK. 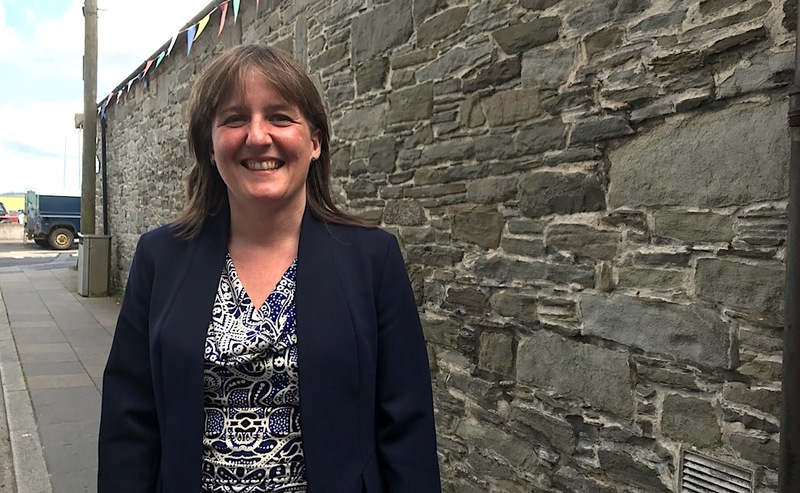 “That synchronisation of professional qualifications throughout the EU has served us really well in recruiting to areas which are traditionally difficult to recruit to,” the MSP, who used to work as a pharmacist in NHS Highland, said. She said social care, hospitality, fish processing and crop harvesting were all areas that could be left exposed and could face “a real challenge without migrant workers”. Todd said there was almost an element of being “in denial” among some industries about Brexit’s potential pitfalls. While 56.5 per cent of those who voted in Shetland wanted to stay in the EU, the local fishing industry has been one of the most ardent cheerleaders for severing ties with Brussels. Echoing the words of Liberal Democrat politicians locally, Todd said that even if fish-catching ended up with a better deal, there could be damage in the processing sector and when it comes to exporting produce – while she also pointed out Lerwick’s new fishmarket has attracted nearly £1.2 million from the EU’s European and Maritime Fisheries Fund (EMFF). “I think fishing and agriculture would both slightly fall into that category [of being in denial],” she said. “Sometimes when you speak to fishing representatives, it’s everything is rosy about Brexit, and yet there are undoubtedly issues with funding of infrastructure – the fishmarket had a huge amount of EU funding, there’s the need for fish processors, a huge proportion of them are Europeans. “There’s the fact that people have always fished our waters – that’s not just happened with the EU – that’s happened for hundreds of years and is likely to continue happening. “Michael Gove was giving assurances in Denmark that Danish fishermen will be able to continue fishing in our waters post-Brexit. If the fishermen believed that what was going to happen was that nobody else was going to be allowed to fish here, they’re going to be sorely disappointed. “There may well be trade barriers. There may be some tariffs – I suspect they won’t be too high for fish, but there will undoubtedly be bureaucracy that will slow down cross-border shipment. She “cannot understand why there is so much trust of the Tories on agriculture, because I don’t think that free marketeers are going to do a good job for Scotland’s agricultural communities”. Orkney-based Tory list MSP Jamie Halcro Johnston, also visiting the islands this week, had a much different take on the subject. He said the impact on employers’ ability to recruit was “something we’ve got to be aware of up here”, but is confident that demand among Europeans to come to the UK to live and work will still be strong post-Brexit. Johnston’s Scottish party leader Ruth Davidson has attempted to strike a notably different tone to Prime Minister Theresa May when it comes to immigration, saying this week that “with the country on the road to full employment, potential for growth is facing ever greater limitations” without immigrant numbers to boost the workforce. She has called on May to drop the target of bringing overall immigration down to tens of thousands a year. “It’s something we’ve got to be aware of up here, and the government has to be aware of in its negotiations, but there is still going to be a demand for people who want to come to Britain to work, and there’s going to be a demand in Britain [from] people who provide employment.